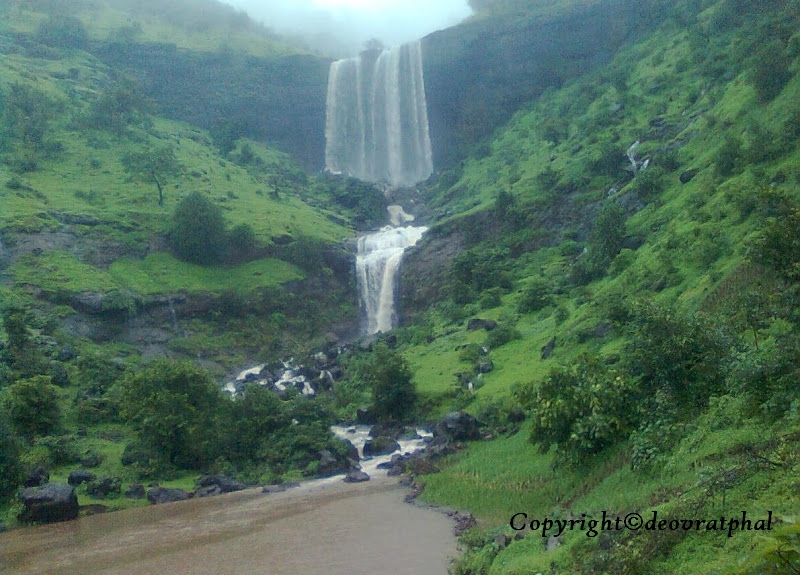 Bhavli, a small village near Igatpuri, a resident to different 'variety' of waterfalls offers a grand nature walk and grace of untouched waterfalls in Igatpuri region. 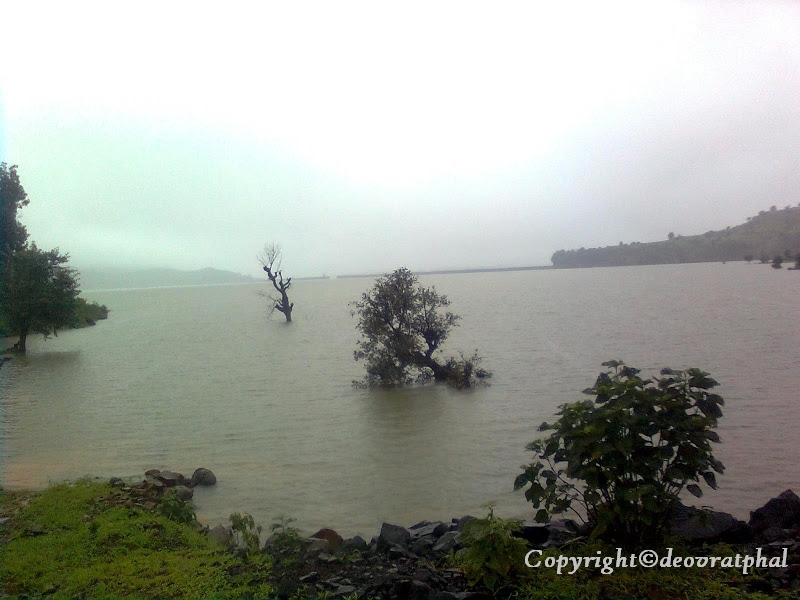 The water from a newly built dam (some 2/3 years back) has submerged the village and caused the lengthening of the trek route. Else, earlier it was easy to get to the waterfalls. Trek attributes the trekker to pass through the dirt road, full of muck, streams, waterlogged paddy fields, enjoying in mini waterfalls on the way and finally reaching the destination after 2 hrs of rocking adventure. 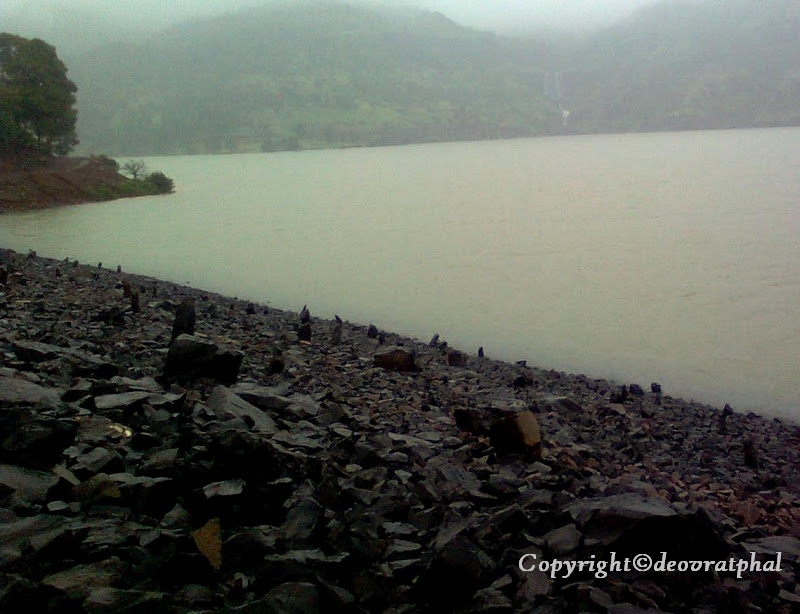 The road takes us, upto the dam wall, the place where the trek starts. One needs to climb the wall, and from the top the calmness of the backwater can be experienced. 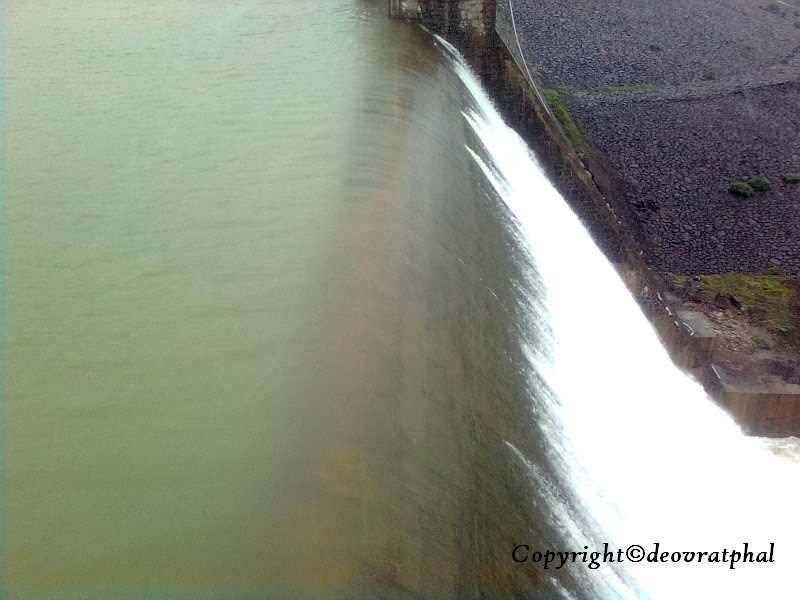 We can go to the outlet of the dam, and experience the sentiment of the intense water flow gushing out of the door. The temptation of trying out this water-slide is common, but Newton and Pascal probably wont like you doing that. On the way to the final destination there are lot many waterfalls, that offers marvelous view of water droplets flying against gravity, because of the strong wind blowing over it. The approach route has been eaten up by the water, and hence the beauty can be experienced from distance only. 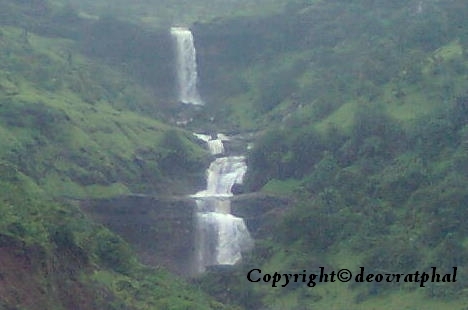 Though the final waterfall is inaccessible, its gigantic height and width offers a punching sight as a picnic spot. Trek circumscribes a semicircle around the dam, and enters a small village. And not far from here is the destination. A small one room school can be used as a shelter (during holiday) .The village is a tiny, peaceful, self-sufficient and probably wont like smokers, drunkards and other menace creating people. So, don't disturb them, try to interact with them, the problems faced by them and how they face it & overcome them. Enjoy the trek to the fullest, and store the memories in form of photographs.